Let Bestway Pool Service & Repair Co. help keep your pool clean and in good, working condition with our pool maintenance work. Nothing feels better than lying by the pool in your own backyard. Request a pool remodel to enjoy your very own personal oasis! Bestway Pool Service & Repair Co. is a locally-owned-and-operated company in Phoenix, Arizona, that specializes in repair work for residential pools. We have been in business for more than 20 years, but our owner has more than 40 years of experience. Unlike other pool companies, we do not require you to sign a service contract. We have found that high-quality and reliable service keeps our customers loyal to us—no contract needed. 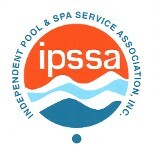 Bestway Pool Service & Repair Co. is proud to belong to IPSSA, a professional pool service association. Companies must be invited in order to become members. Prior to obtaining membership, companies are scrutinized and must qualify under strict requirements in order to become full-fledged members. Contact us to request an estimate for maintenance, installations, or other pool services for your home’s pool.